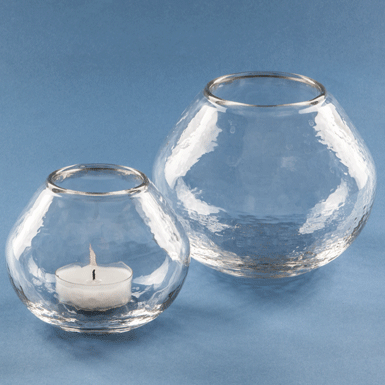 Two typical Glasi products with the characteristic heavy glass structure and rounded rims. Ideal as vases or candle holders. mouth-blown into the mould, with flamed smooth rim.